Social media has a huge opportunity to be a brand awareness and sales tool for your business. But social media can also be a huge challenge for those who wear multiple hats throughout the day particularly those who run small businesses or are entrepreneurs. These 8 tips and strategies are going to help your businesses prioritize on what's important on social media so that you can grow your accounts and drive sales. Everything starts and ends with goals and setting proper goals based on desired outcomes is the most important thing that you can do. It's super important to develop a social media strategy that aligns with your goals so that you can determine whether your social media program will succeed or not. It’s very important to be specific as possible. So, if you're using social media to drive brand awareness, what are the metrics around that goal that will help you to define your brand awareness? Is it likes or traffic to your website or engagement to social media posts. Having specific goals based on the specific objective is the first step in creating great goals and the first step in understanding whether your social media is working or not. 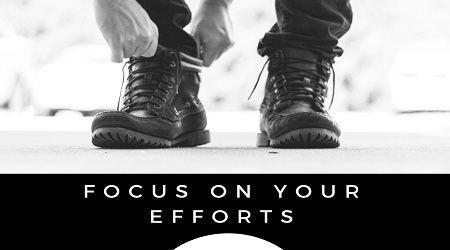 Because if you're off the path and you're not finding success, then your goals will help you to define the next action step needed to take to get back on the path of success on social media. You've probably heard the saying it's better to be on one social media network than spread them across many others. Well, that statement is absolutely true, by focusing your efforts on one social media platform. As opposed to two, three or four, you're going to hone your skills, until you figured out that specific channel can you start to branch out to more social media networks. This is the biggest misconception for small businesses and entrepreneurs and the amount of time it actually takes to be successful. On a social media channel it takes a lot of time, takes a lot of effort, takes a lot of content and so by focusing your efforts on one channel you can increase your likelihood of success. Having a comprehensive overview of everything you want to send out to social media within the next few months even within the year is irreplaceable for brands and businesses looking to be successful on social media. A good social media calendar consists of major company events, major company product releases and major holidays within whatever country or even the world that you want to celebrate. As a company a great social media strategy means posting consistently and what better way to do that than to hold yourself accountable. Through content calendar you can create a unique calendar and it can be an Excel spreadsheet or it could be a Google Doc and it doesn't matter how you do or whatever calendar service that you prefer create a map. Whatever the event is put it in your social media calendar, create a small mini-marketing plan around that event and make sure to have all the messaging set up so that when you go to post, you are all set to go and have a great social media posting strategy. 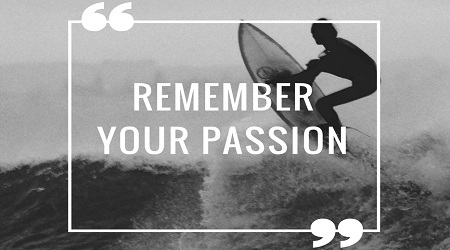 Passion helps to create amazing social media content and the biggest challenge on social media is creating great content on a consistent basis. 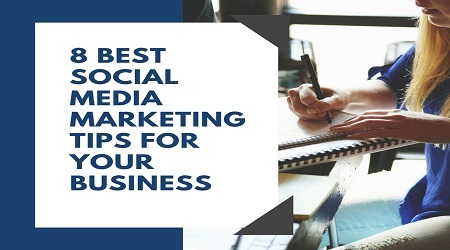 As a small business or entrepreneur, it can be incredibly time to consume and difficult to find the topics that are going to work over and over again on social media. So, what I suggest you do as a business owner or as an entrepreneur is picking a topic that you love to talk about. Topics can be semi-related to your brand and it doesn't have to be specific about your product or your brand or it can be in the sphere of your industry. The more passionate you are about a specific topic the easier and more fun it will be to actually go out and find content or create original around that topic. When you have a passion for something I guarantee you that your audience will share that same passion with you. 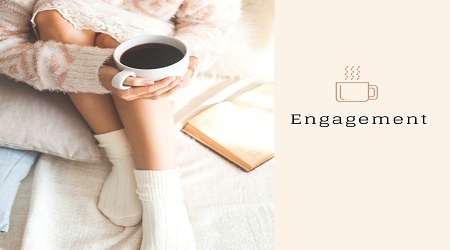 Engagement drives growth on social media whether you have a company of a hundred or just one engagement. On social media is one of the most important factors you can use to drive the growth of your channels over time. But engagement really is the key in the core to every social media strategy in other words when you create great content you're going to get more engagement from your audience. It's a byproduct of great content so it's a commitment you have to make upfront and understand from the very beginning. If you have people who are regularly engaging with your content you'll activate them as strong loyal users by responding to them, answering their questions, helping them to share your content even further. You might even think about creating some sort of referral program that rewards people who share your content, you might also start a Facebook group or a slack community that gets your power users on social media into the same place, so that they can share ideas and talk to each other, learn from each other and really spread the message about your brand. It really only takes about 30 minutes a day to be successful with engagement and persistence will pay off in brand loyalty and power users on social media. Remember that social media are social people. They are on social media to share content with their friends, connect with family members and yes, of course, connect with you as a brand. 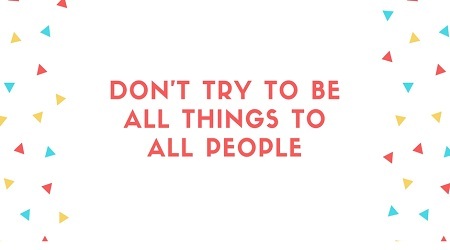 But, people will not want to connect with your brand unless you're sharing things that are human authentic engaging things that speak to people on a human level and is very Meta. I know it's hard to point directly to what that means but the best I can do is to tell you to remember to share who you are what makes you unique as an entrepreneur or small business. As a company what makes you unique personality wise and also keep in mind that creating content isn't necessarily just showing how your product can benefit your users but it's about helping people, it's about providing useful and relevant content time and time again so that they go to you as a trusted source of inspiration. One of the very first questions you have to ask yourself on getting started with social media strategy is, what you are all about. Make it very clear from the get-go what you are all about on social media. Being everything to all people across all social media networks is just simply unsustainable. So, having a clear, specific and concise topic that you are expert and are passionate about on social media will help you drive a more niche audience and that will interact with your content. On a higher level, it also gives your audience a reason to come back to your business. If they come to your social media profile and never have any idea of what to expect from you in terms of content. Commitment to social media can be a real challenge to you as small businesses and entrepreneurs and to make social media priority for you and your business and your employees start off with a plan, create a strategy, and create goals. A success with social media is it brand awareness or is it sales. Having a plan will help you make that commitment to social media right from the beginning. So, starting with the plan, understanding the tools are going to help you achieve that plan and then looking outside to your peers and competitors for what's working for them. I hope you got something useful from these 8 strategies for your businesses and if you enjoyed reading or have anything to add, then share it in the comment box below.